Beston waste sorting machine has come into operation in Uzbekistan for several months and now in a stable running. It is installed in the Huar Area of the Khorezm Region of Uzbekistan, covering an area of 15 acres in total. It is estimated that this large municipal solid waste sorting equipment can process more than 900 tons of solid waste for the local people per year. This automatic waste segregation system was completely designed and manufactured by Beston Group. 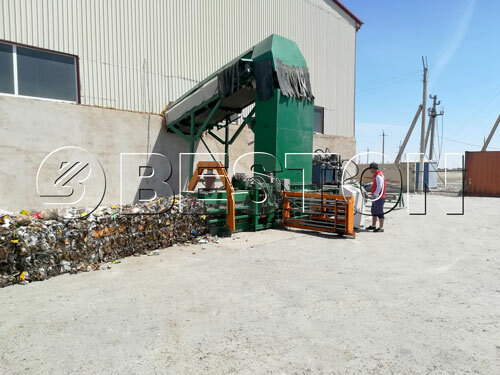 Depending on the advanced waste sorting technology, it has changed the traditional waste recycling system of Uzbekistan, brought rewards to the local government and promoted the local economic development in some way. 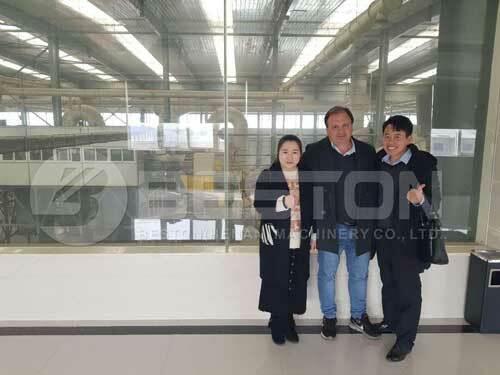 Recently, Beston has sent the engineering team to double check the status of the machine and provide technical support during the first half-year operation if necessary. At the same time, the public officials visited Beston waste sorting machine in Uzbekistan and speak highly of the machine. The officials emphasized the advanced technologies, high-leveled manufacturing techniques, and rigorous service attitude of Beston and expressed their appreciation and strong intention to a continuous cooperation as well. We are glad to see that our waste recycling machine helps a lot in Uzbekistan in their municipal waste management. Beston will offer a lot more high-quality recycling sorting equipment constantly with our passion for engineering for the tomorrow’s world. If you also need to handle the solid waste in your place, you’re encouraged to contact Beston now.